Ivy (Hedera spp. ): growing, planting, caring. Quite an endearing plant ! Scientific name : Hedera spp. 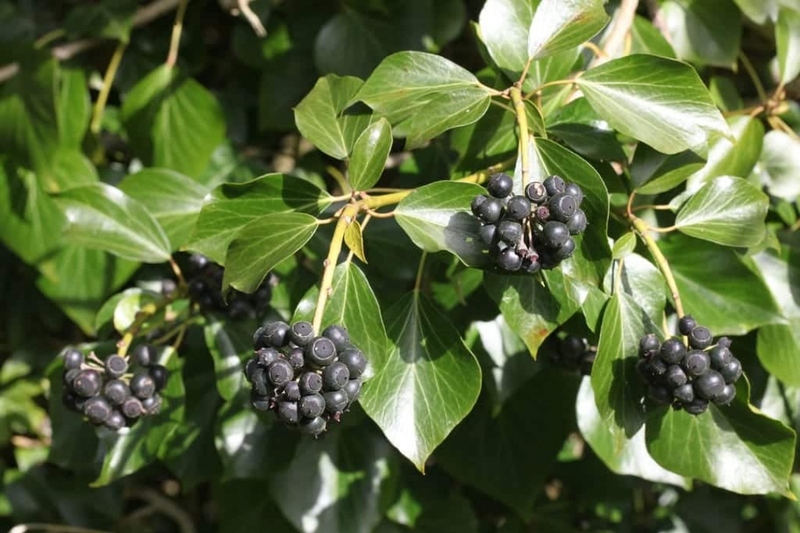 Hedera - ivy - is a genus of 12–15 species of evergreen climbing or ground-creeping woody plants native to western, central and southern Europe, but introduced almost everywhere else with compatible climates. On level ground they remain creeping, not exceeding 5–20 cm height, but on trees, natural rock outcrops or walls, they can climb to at least 30 m above the ground. Ivies have two leaf types : palmately lobed juvenile leaves on creeping and climbing stems and unlobed cordate adult leaves on fertile flowering stems when exposed to full sun, usually high from 2 m or more above ground. The flowers are greenish-yellow with five small petals in umbels, blooming from autumn to early winter and are very rich in nectar. Ivy is a climber reaching up to 10 meters in all ways, which can form a bush as it ages, without a support. Young, ivy bears lobed leaves, which become large and oval. Its fruits are spherical, black, and its green flowers have five lobes. It supports potted culture, but will not expand as much!